Visit Duckwinds where you can enjoy the covered deck overlooking the pool or a siesta on the screened porch. 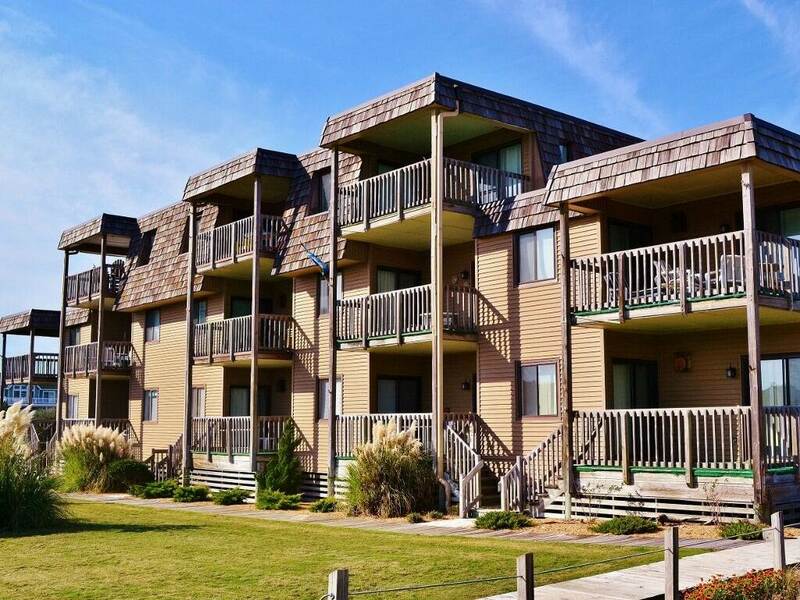 This second floor condo in Duck Blind Villas is an excellent oceanfront vacation rental spot for two small families or two couples and is only moments from Duck Village where you can experience quaint shops and great dining. 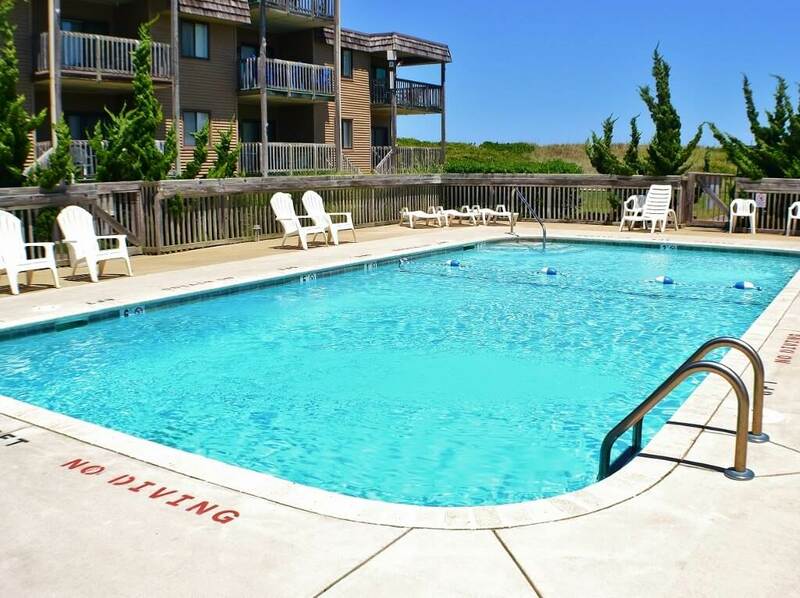 This condo is definitely atop the list of vacation rental properties on the Outer Banks of North Carolina. Water enthusiasts can take in all of their favorite activities within a short drive or for those who love the lighthouses you can take a drive or day trip to visit the Currituck Light House or even the Cape Hatteras Light with ease. This condo is located on the second floor. The Duck Blind Villas community pool is open from Memorial Day thru Labor Day. LEVEL 2: Living Room, Dining Area, Kitchen, Master Bedroom with Queen, Bedroom with Queen, Bedroom with Bunks, Full Bath, Balcony, Screened Porch.